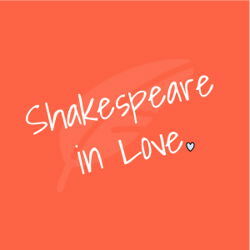 We all know William Shakespeare as a brilliant, imaginative, funny, trendsetting playwright whose work has held up the test of time better than any other. We know he lived in the 16th century and that he performed plays for the Queen, but how did Shakespeare become the Shakespeare we know today? In this exciting play by Lee Hall, adapted from the screenplay by Marc Norman and Tom Stoppard, we get to witness a version of what might have been. Did Shakespeare have writer’s block from time to time? Did he need a muse to write his famous tragedy Romeo and Juliet? Lee Hall’s version of this successful screenplay follows the same story of Shakespeare meeting and falling in love with a aristocratic woman named Viola De Lesseps who wishes she could be an actor, and transforms it for the stage, just as Shakespeare did with stories in his day. It is funny, clever, filled with references to Shakespeare’s work, and a delight for theater goers of all ages.